Chris Hoole Snr immigrated from the Netherlands in 1952 and started a painting and decorating business in the seaside city of Redcliffe. The business flourished and Chris was always in demand due to his high referral rate and quality workmanship. Chris Senior passed away in 2011 leaving a legacy for his son to continue on. Starting as an apprentice in 1966, at age 16, Chris Hoole Jnr began mastering the painting and decorating trade in the same fashion as his father, believing only in quality workmanship and complete customer satisfaction. To this day, Chris Hoole Jnr is proud to provide to all of our Brisbane clients the most prompt and professional painting experience from Brisbane's premier painting company. Kurt had a love of painting from his young years. At the age of 15, he had begun his work with his father and had finished his apprenticeship by the time he was 19. Following in the footsteps of his father and grandfather, he had a keen eye for superior quality in the Brisbane Painting Industry. 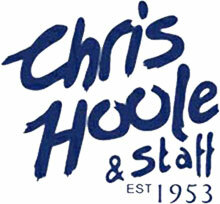 Kurt's father, the current owner of Chris Hoole Painters, recognised in his son the ability to competitively estimate jobs and supervise the Chris Hoole Brisbane Painters Team. Kurt has taken the leading role for the company for the past eight years, bringing experience, talent and attention to detail to the Brisbane Painting Team. He assures quality, efficiency and a professional approach to all projects. He has a desire to attain perfect results on every job and is constantly driving for customer satisfaction. As the newest member to our team, Basem has brought experience in painting & decorating and authoritative roles as a union advocate. He has done a marvellous job in supervising our Brisbane Painters and ensuring that every job is completed to the utmost of our ability. He is attentive to the needs of our clients and ensures all contractual agreements are met with the highest standard. He conducts regular visits to each job site and ensures that all Queensland Health and Safety requirements are adhered to. He is our driving force to getting the job done right and in accordance with every safety regulation! Jane is our charming office guru. She brings over 30 years of experience in accounts, administration and customer service to our team. Jane has been a great asset to the office with her bookkeeping skills as well as organising important documents and jobs for our Brisbane Painters with precision and dedication to her job. She not only meets the deadlines for us but is conscientious of the needs of our clients and organises the Brisbane Painting team so all expectations are met by both parties. She is your first point of contact and you can be assured that she will assist in the efficiency of the completion of your project in any way possible! Julie also joins us with over 30 years experience in office administration. She is our office duties support and is happy to assist in a friendly, efficient manner. Customer satisfaction is also important to her, so all enquiries will be handled proficiently & confidentially. Leanne joins us with an extensive background in customer service and an education in business and marketing. She assists in office duties, offsite duties and online areas of marketing. She is friendly, efficient and has a grasp on achieving customer satisfaction and loyalty with exceptional customer service. Lani has been colour consulting for us since 2001. With a certificate in interior design, she has assisted in transforming hundreds of homes in Queensland to works of art. She has brought class, style and a modern look to our company. Lani is open minded, taking each individuals preferences and personalities to create a colour scheme that suits their personal taste in decor. She has provided an expert view to help guide our Brisbane Painters to getting the job done in a way that will please the client. She is a key player on our team and has successfully delivered quality and refreshing results for our clients. She loves her job and takes on all tasks willingly and with a smile.